It’s that time of year where cherry tree blossoms have yielded some delectable fruit! Thankfully, we can preserve and enjoy them all year. This year, we decided to attempt cherry pie filling. Yum! Yum! Yum! We picked about 10 pounds of cherries to make sure that we were getting them fresh and a good deal. It was an enjoyable experience to be out on a beautiful summer day and select the cherries that appealed to us. 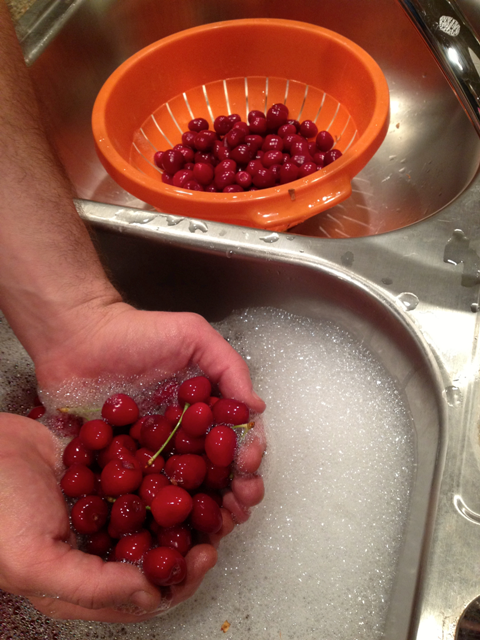 When we arrived home, we sorted out the inedible cherries and washed the good ones. There are several different methods to pit cherries. They make hand sized pitters and it was even suggested to me to use a straw but I did not try it. 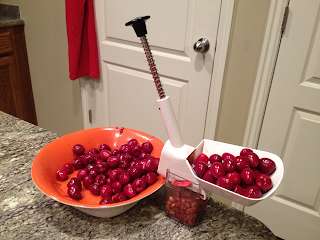 Since we had so many cherries and not a lot of time, we went to a local restaurant supply store and bought a more efficient pitter. It was worth every penny (less than $20 at the time of purchase) and the work went by quickly. Bring water to a boil and throw in your cherries. 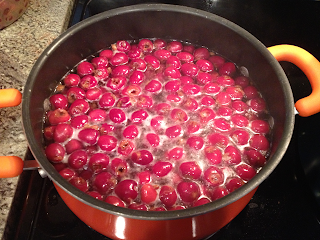 Once the water starts to boil again, then time the cherries for one minute. If you boil them too long, then they go mushy. After one minute, drain the cherries and put them in a bowl. Cover the bowl to keep them as hot as possible. You can find several different recipes for canning cherry pie filling in a google search. We did not have any luck with finding Clear Jel that the recipe calls for in stores and decided to try a pre-made mix. Each mix called for 4 pounds of cherries. The mix calls for sugar and water. We added about 1 teaspoon of almond extract to enhance the aroma and taste. Add in the cherries and stir. Mmmmm! The smell was mouth watering! Scoop the cherry mixture into the jars. 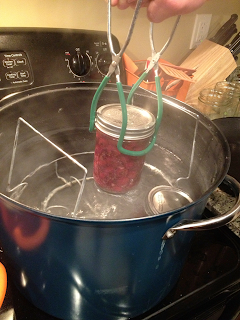 A funnel made for canning makes this job quick and easy. Leave a half inch between the filling and the rim of the jar. Twist the lids the on finger loose (snug, but not too tight and the air will not escape during boiling) and put them in the boiling water in your Water Bath Canner. Make sure the level of the water is high enough to cover the tops of the jars. Use a jar lifter to avoid burning yourself and accidentally dropping the jar. Boil for 15 minutes (add 1 minute for every 1,000 feet in altitude). When time is up, pull them out and put them in a safe place to cool. Any cans that do not seal properly should be refrigerated and consumed within a week or two. Don’t forget to label your jars! Questions? 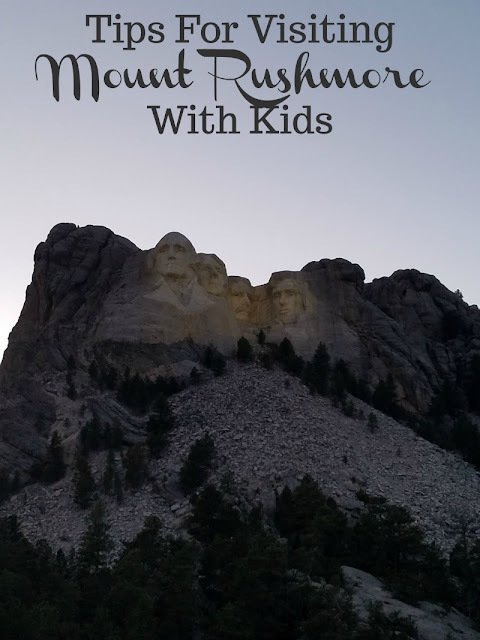 What would you like to see explained next from the Iowa Mom Kitchen? This is a great post. Im not sure why it never occurred to me to can these. Our tree is already done for the season but next year I will remember this! Great directions! I have been wanting to try canning. I thank you for this post I was just talking about removing seeds from cherries for someone to enjoy. I have to invest in a cherry pitter. Our cherry tree is young and didn't really make enough to mess with canning, but hopefully someday it will! Good directions. I had never thought about canning pie filling but it makes a lot of sense. I bet this makes a wonderful pie in the fall...fresh and delicious cherry filling. I don't know much about canning, but it makes you want to try your hand at it. Thank you for this information always wanted to learn how to can cherry pie filling. Thanks so much for sharing- I want to give it a try! Great blog! My husband LOVES Cherry anything so I will be trying this next summer for sure! Great blog! My husband LOVES Cherry anything so I will be trying this out next summer! Thanks for the tips! We don't have a cherry tree! We have a seed plum tree that we only get a few from because the bids love them! Wow this is awesome ty for the step by step instructions. 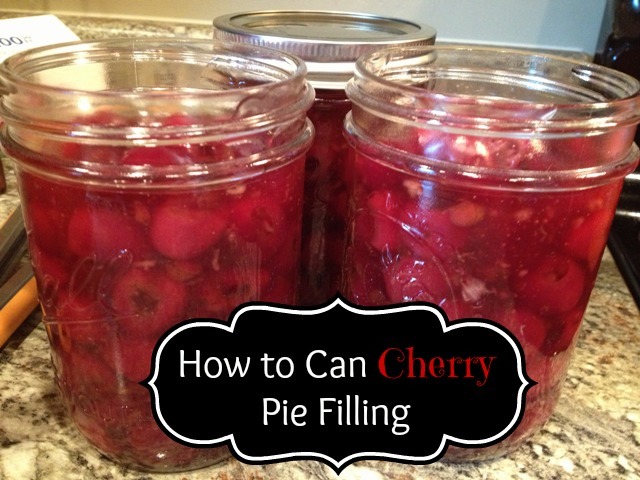 Sounds great, I never thought about making my own cherry pie filling. That sounds so good. I'll bet the house smelled good too. My husband has canned food before. He makes some good jam. I'd like to try the pie filling. This cherry pie filling looks very tasty. Thanks for sharing! Thanks for the recipe. I HAVE to try it! Oh YUM. I love making a homemade cherry & pineapple "dump cake." I found a homemade dry vanilla cake mix recipe and use fresh pineapple... and now I can use fresh cherries without all the preservatives and added colors. This will be sooooo good! Thanks i will be trying this next time. I love to can fruit. Can't wait to try this. 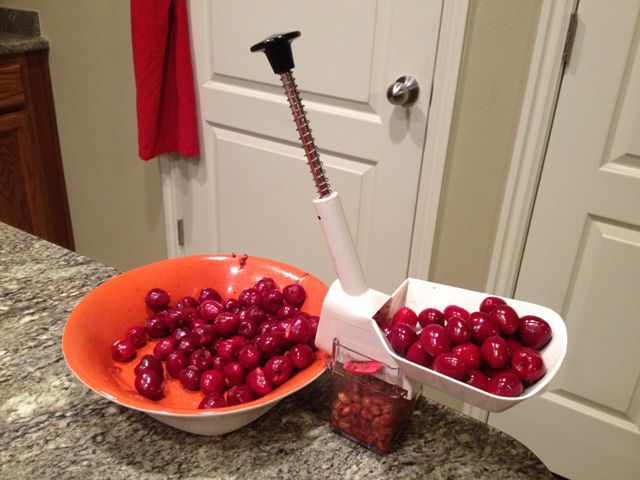 First, I love that I just found out they sell a cherry pitter, never knew that. I will be getting one. Second, I love this step by step instruction, I love to make Cherry pies for Thanksgiving and not a huge fan of the canned stuff. Since there is a sale on fresh Cherries this week, I am stocking up and trying this for sure. 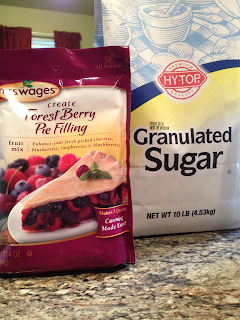 We use Cherry and blueberries for cheesecake toppings at the holidays. Thanks for sharing the great post. Would love to know if anyone knows, is there any difference if you were to do this with blueberries? Yum this makes me want to make some cherry pie! You directions are really easy to follow! I definitely will try canning; it will make it easier next time I make pie! I have been thinking of trying this just to see what I can create. It doesn't seem too difficult. Pretty cool but I dont have time to can foods. I need to send this to my Sister-In-Law. Her husband loves cherry pie. So if she were to do this especially when cherries are in season, it would make things easier and quicker for her later. I need to share this with my sister-in-law. Her husband LOVES cherry pie. So if she were to do this, especially when cherries are in season, it would make it easier and faster for her later on. WOW! What a great idea. Very quick and simple to help save money too. Thanks. This looks delicious! Always wanted to try canning but was afraid it was complicated. You make it seem like a breeze. Thanks! Thanks for the directions to make the cherry pie filling. I have never tried it but would like to now after seeing how it is done. I bet this taste just amazing too. We do quite a bit of canning but I never thought to can pie filling. 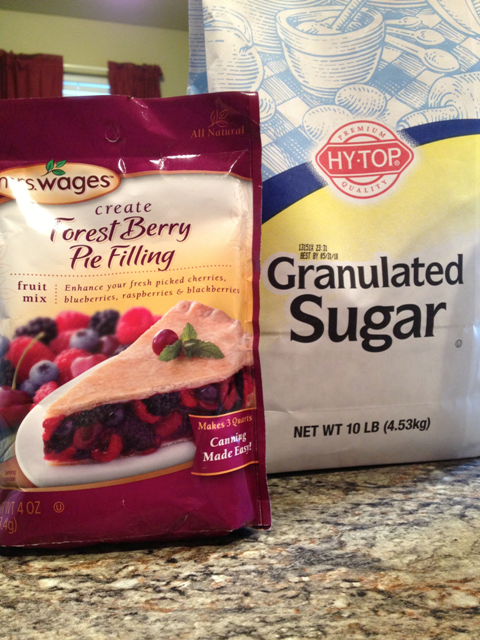 To have pie filling on-hand all the time could be dangerous =) Thanks for the post. I love how you went step-by-step! Thank you for the great tutorial on canning cherries. I think it might be a dangerous thing for me to do. Both my husband and I love cherry pie. I can see the calories mounting. 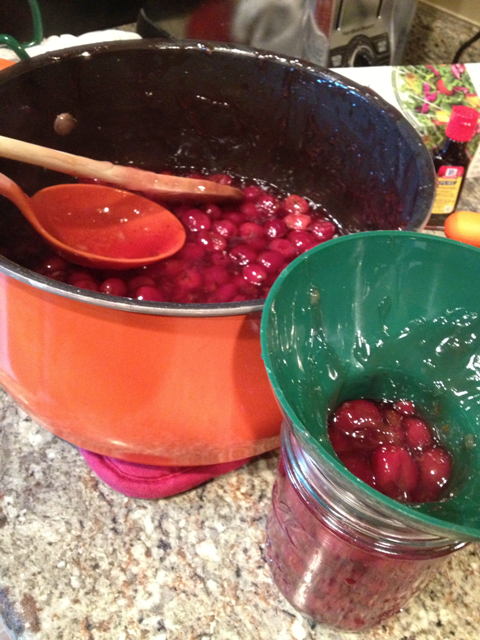 We love cherries at our house but I have never tried canning them, instead when not in season I buy the pie filling. I am going to try to can next summer. Thank you for the inspiration. Thanks for sure for guiding us through the procedure from start to finish.I love cherry pie filling and I have tried canning everything else.I would really enjoy doing this.Thanks so much for sharing. one of many great things to can i love doing apple pie filling aswell!! I would love to do this...the prospect of pitting the cherries always looked daunting. But I see you have one of those fancy cherry pittery thing a ma bobs...lol. I love cherry pie so this will be something I will be thinking about doing??? thank you! As an Iowan, can you tell me any non-GMO way of doing this? I used to live there, and know the Amish must have a secret to keep all the GMO's out of that wonderful goodness! Great post! Homemade is always best..and healthiest! This looks so dreamy - I'd love to do this - next year! I just saw cherries at the store, and they were $8.99 a lb, not organic. Needless to say I didn't buy them! It is good to know that it is worth getting a pitter - that would work better than a paper clip! I love homemade cherries. Thanks for reminding me to put this on my project list! I have never made cherry pie filling because I don't have a cherry pitter. This looks delicious. I have never made cherry pie filling since I have no cherry pitter...this looks delicious. Thanks so much for the hints on canning cherries. There is nothing better tasting than fresh picked fruit ready to take us through the colder seasons. I have wanted to do this but was more than a little intimidated. You make it look so easy. I will have to try this now. Thank you. Have you ever tried canning pickles? I love fresh cherries and this filling would be so much better than store bought. I would love to try this with both tart and something like Bing cherries. This would be a treat.